We are excited to offer three selections of our sauce ranging in heat/spiciness from Original - Medium - Spicy. Check out our BBQ Sauces page for more information and a more detailed description of the heat level of each of our three sauces to select the flavor to satisfy your taste bud. To purchase our product, please select the kind of sauce you would like to purchase. You will be able to enter the quantity of each sauce you would like to purchase to your shopping cart and either return for more selections or proceed to checkout. We are excited to offer online ordering that is safe and secure. Get your order place today. 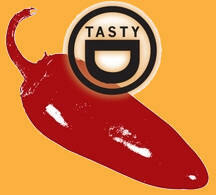 Following is our Pricing Table for Purchasing Tasty D's Online. Shipping is calculated automatically. Please call us or email us with questions so we can get our product out to you as soon as possible. We can be reached at the following numbers - Deborah at (260) 615-1729 or David at (260) 446-1884.